Lid Storage Cart - G.A. Systems, Inc. 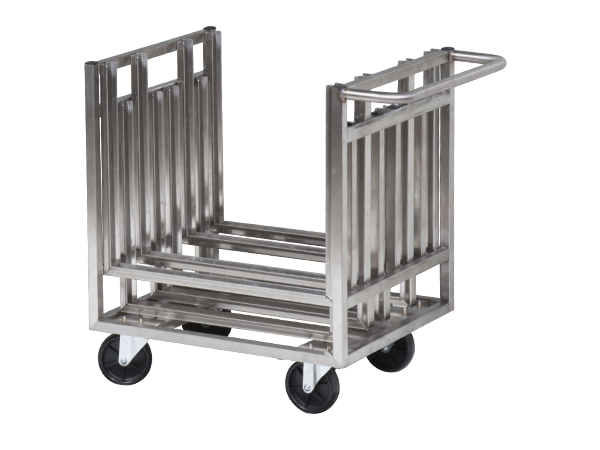 The lid cart is a great accessory to your “Speedee-Serv®” Speedline Serving Equipment. It’s mobile, easy to push and has slide slots for each lid. Just before serving push your lid cart along side of the speedline, lift and remove the lids from cabinet and place lids in the cart during serving. Then after serving replace the lids onto the “Speedee-Serv®” serving equipment. 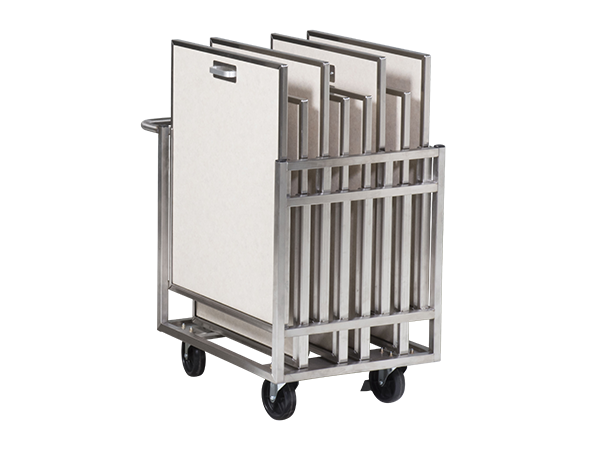 Each lid cart holds 8 speedline lids during serving time. 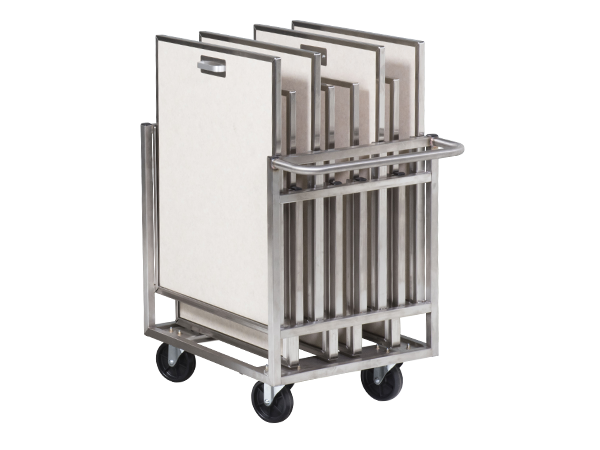 Having a lid cart provides the lids a place to be stored during serving, helps protect them from damage and keeps them off the floor or stacked. The lid slots are staggered for lid handle clearance. With push handle and plate type 5″ swivel non-marking casters, makes it easy to push the cart loaded with lids. At only 30 1/2″ tall it is easy to load and unload the lids from the lid cart. Accommodates 8 lids staggered side by side.